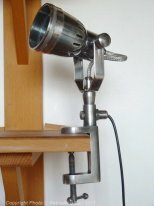 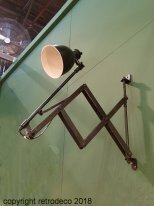 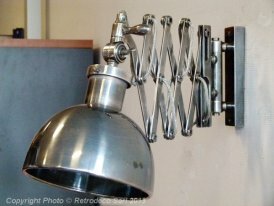 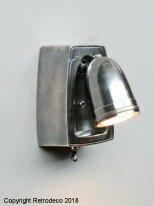 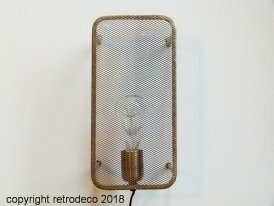 Very trendy wall sconces are integrated in all interiors whether classical or not, industrial or flea market! 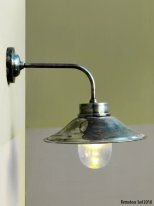 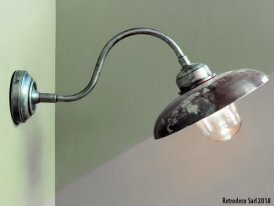 You can opt for a classic shade wall lamp for soft, subdued light or for a nickel metal lamp shade or spotlight for stronger, more focused lighting. 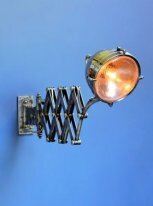 You can put it in your entrance, your corridor, your living room or even your bathroom. 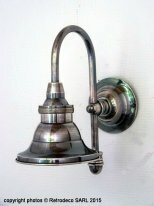 We particularly recommend the nickel restaurant applique, the openwork nickel applique or the Chehoma warehouse applique. 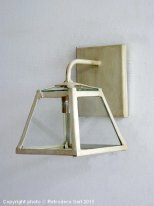 To complete with a ceiling light, you can also consult our selection of suspensions always in the section luminaires.